Ever since the start of the millennium, the "technical" and "progressive" labels have been growing increasingly popular within the metal scene, to the point where Unfortunately, it seemed like every new band was but a mere copy of a copy trying to outdo one another with tasteless technicality for its own sake. 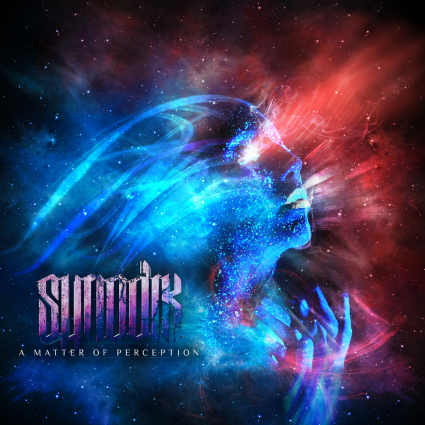 Luckily for us, Synodik's A matter of perception is here to remind us why we first came to love technical death metal. Hailing from Italy, these newcomers play a form of death metal with ethereal atmospheres and leads combined with bone crushing death metal riffs. With this release, the band seems to have made a conscious decision to showcase their talent in a concise manner by concentrating their efforts on writing a couple of brilliantly composed songs. One of the main points that make this a solid release is the bands' focus on quality songwriting over flashy musicianship. At no point do the songs pass off as being technical for the sake of being technical. The occasional guitar solos and leads (such as the one halfway through the third song) are superbly well integrated, adding some enthralling melodies to the table. Overall, A matter of perception is an amazingly solid release that has a lot to offer for anyone looking for death metal with a tasteful balance of technicality and melody. With songs that are ambitious and engaging, brutal yet at the same time beautiful, Synodik are sure to turn heads with this release.